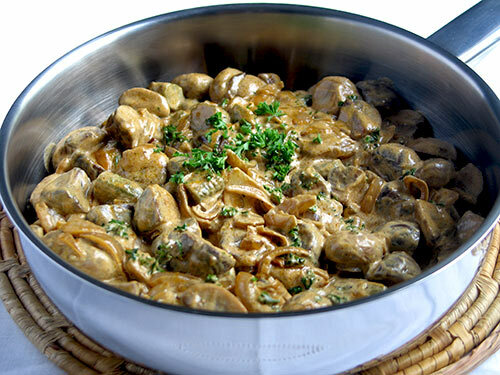 This is a quick and easy dish that i often make when i am just cooking just for myself as everyone else in my household can’t stand mushrooms. Turn off heat and stir through creme fraiche or sour cream to finish. I serve this with brown rice when i am trying to be good but mostly i serve with lots of tagliatelle.